﻿ Maison AZ Hotel Brussels. JIMAT di Agoda.com! Ada soalan mengenai Maison AZ Hotel? Maison AZ Hotel, terletak di Saint-Gilles / Sint-Gillis, Brussels, merupakan satu pilihan popular bagi para pelawat. Dari sini, tetamu boleh menikmati akses mudah kepada semua yang bandar meriah ini boleh tawarkan. Hotel moden ini berada di sekitar kawasan tarikan bandar yang popular seperti Porte de Hal, Hotel Winssinger, St. Gilles. Di Maison AZ Hotel, segala usaha dilakukan untuk membuatkan tetamu berasa selesa. Oleh yang demikian, hotel ini menyediakan perkhidmatan dan kemudahan yang terbaik. Hotel ini menawarkan pelbagai kemudahan di lokasi untuk memuaskan hati tetamu termasuk yang arif. Hotel ini mempunyai 7 bilik yang sangat cantik, setiap bilik dilengkapi televisyen skrin rata, bilik larangan merokok, penyaman udara, pemanas, meja. Padang golf (dalam jarak 3 km) di hotel merupakan tempat yang ideal untuk anda relaks dan tenangkan diri selepas hari yang sibuk. Kemudahan yang hebat dan lokasi yang sangat baik membuatkan Maison AZ Hotel menjadi asas yang sempurna untuk menikmati penginapan anda di Brussels. It was not far away from Brussels Midi or Ave Louise. The owners were very friendly and helpful. My mother and I had a thoroughly pleasant stay in a quiet twin room with lots of extras for the bathroom. The owners were very friendly and helpful. The ONLY downside was that the mattresses are too soft which, I imagine, is only a problem for those used to sleeping on a more firm bed. Very happy to find this place, I come to Brussels for business about once a year and know that I will come back here next time I plan to visit. Room is very large, and I was also very happy to take a nice bath in an oversized bathtub! Overall a very good place to go. Good decoration and service. Friendly staff. Great breakfast. Clean, fresh comfortable rooms. Good breakfast. On arrival my partner and I were met by a very affable host who greeted us by name and checked us in quickly. The hotel is nicely furbished and the rooms are clean and well appointed. Breakfast was typical continental-style (fresh croissants and bread, cereals, yogurt, fresh fruit, teas, coffee, several meats and cheese etc.) The one and only downside we felt was the location is not as central as we would have liked, this being our first time in Brussels. Having said that, the journey to the center of town was walkable (no need to cab it unless you're really tired from a long day of exploring) and given the quality of hotel and the good price they charge, it's a small price to pay. I would definitely stay at AZ on a return trip. the host lady is very friendly. the room is very clean with special theme and color. the one we stayed is in green color. the lobby and dining room keep the original decoration and clean as well. it is 5 mins walk to the metro station, very convenience but as it is a bit quiet in the nighttime. 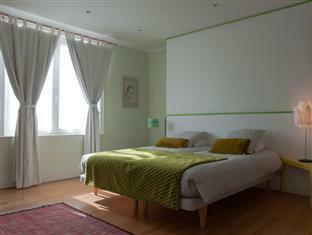 The rooms are big and clean, beautifully decorated and the service is excellent. If you are one of this person that judge the book for it cover, this is not the place to do that. The hotel was difficult to find since no signal or visible reception as usual in an hotel, are there. Just a gray door with a metal plate that indicate the AZ. An intercom with instructions in English, french and Dutch will help you to contact the person in the reception. Once inside the hotel is full of surprises, with the smallest elevator I have ever seen, only 2 people with luggage can fit in there. 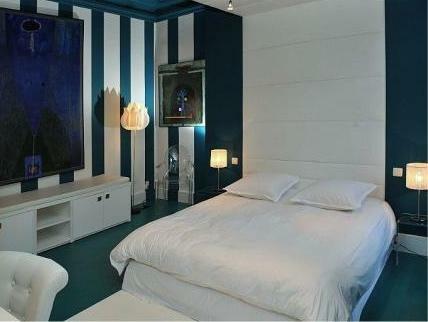 The rooms big, and differently decorated with different styles, clasic, modern, Art deco, etc. they only have by my calculation, 10 rooms. Excellent location and tasty breakfast. superb breakfast room & very clean rooms. The Hotel is hard to find behind big doors & no advertising. Once inside it looks superb. 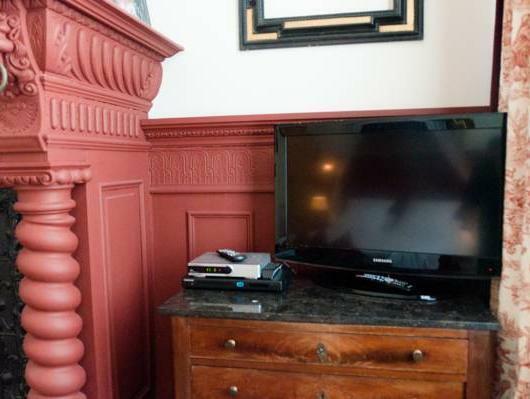 The room was great & the owners went out of their way to make things comfortable. One needs to be aware however Brussels can be dangerous.Take a taxi from the station & don't look like a tourist.I was mugged in a nearby Street at 2pm in broad daylight. So be vigilant, no expensive jewellery on show, take taxis, but the hotel is good. Good location,near MIDI station,low density,great service. the hotel located within 15 mins walking distance from midi station. very hard to find the hotel as there is no hotel name or sign board on the building. must print out the map and the hotel address as the local peoples there do not know about this hotel and most of them do not speak and understand english. the building is old look from outside, but when you enter, the inside is a different world. nice decorations and designs with 2 breakfast rooms. nice and clean rooms. total only 7 rooms. very low density, good for couple and individual traveler. perhaps they have the smallest private lift that i ever see, only can fit in 2 peoples. and some luggage. the hotel lady are so nice and attentive. the services offered are awesome. the breakfast are nice and tasty. the hotel lady are very nice and too happy to give any assistance. Wir haben unseren Aufenthalt sehr genossen. Nachdem es sich nicht um ein Hotel sondern ein Gästehaus handelt, kann der Besucher "nur" ein Frühstück im Gästehaus einnehmen. Diese ist zwar von der Auswahl her nicht mit einem 5-Sterne-Haus vergleichbar, die angebotenen Produkte/Getränke waren jedoch sehr gut. Einen Mini-Kühlschrank gibt es auf dem Zimmer. Die Zimmer selbst sind sehr großzügig bemessen. Der Aufzug ist extrem schmal, da er einem alten engen Treppenhaus nachträglich installiert wurde. Sehr schwergewichtige Personen passen kaum hinein, für das Gepäck erfüllt er seinen Zweck. più che un albergo è un b&b. sembra di stare a casa propria. le camere sono ampie e dotate di ogni tipo di comfort. ognuna di esse ha la propria personalità ed è arredata con gusto e stile. sicuramente una valida alternativa alle catene di alberghi con camere standard e con prezzi sicuramente maggiori. la posizione è buona e, comunque, la vicinanza con la metropolitana permette di raggiungere qualsiasi luogo della città in poco tempo. 호텔 앞쪽에서 입구를 몰라 헤멘것 빼고는 너무 좋았습니다. 내부에 들어서자 마자 아주 멋진 호텔이었고, 아침 조식도 참 좋았습니다. 전철, 버스역등이 바로 옆에 있어서 위치도 좋았습니다.